Death by chocolate cake! Yum!! 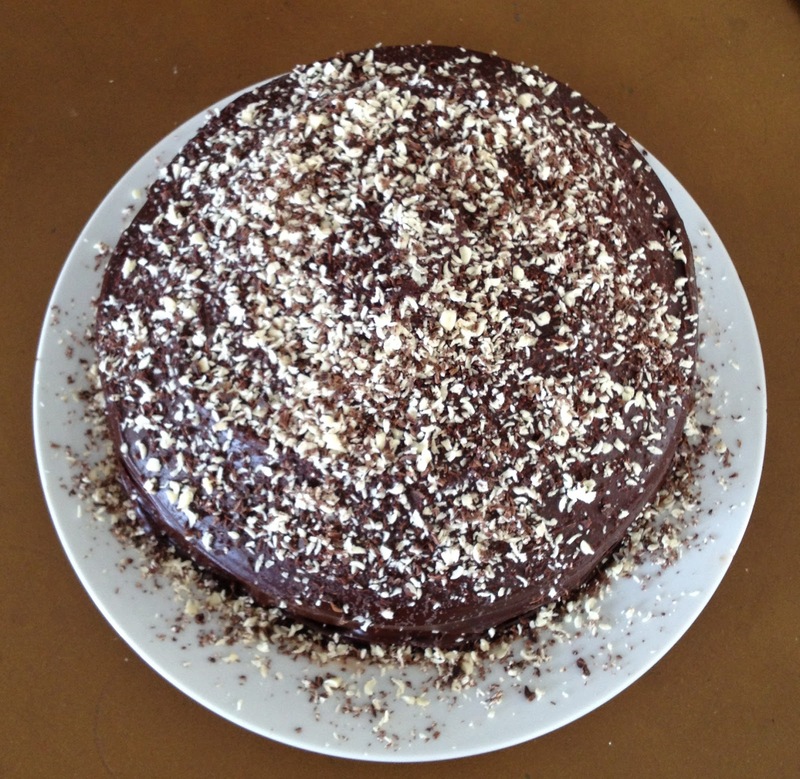 One of my friend's at work's birthday, she loves chocolate, so, chocolate cake! 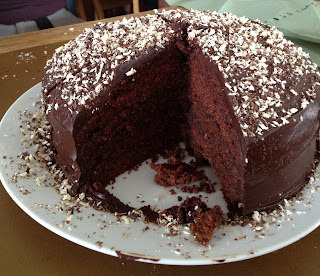 I used the death by chocolate cake recipe found in Mary Berry's baking bible. 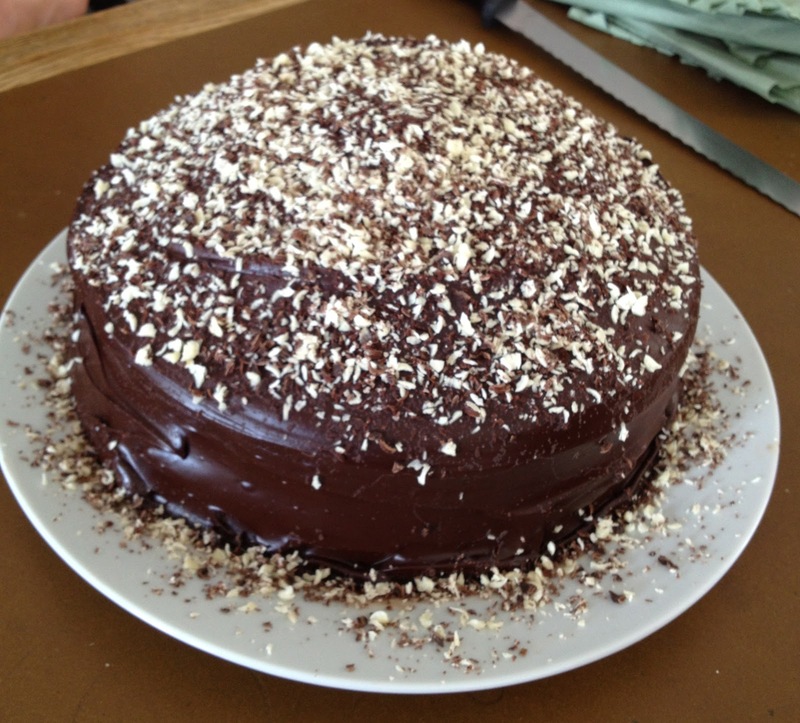 The top is decorated with grated dark and white chocolate. Chocolatey heaven!